BookVenture celebrates Independence Day with Bold Minds Promo! Celebrate the Fourth of July with this patriotic new promo The Declaration of Independence is a symbol of freedom to all Americans. It is a day that symbolizes humanity’s ingrained need to be free. It is a day when America took its first steps in breaking the shackles of the colonial powers and achieve its true destiny as a nation. 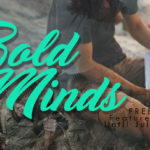 With the Bold Minds Promo, BookVenture hopes … [Read more...] about BookVenture celebrates Independence Day with Bold Minds Promo! 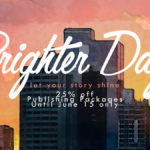 BookVenture Celebrates National Daylight Appreciation Day With an Incredible New Promo! 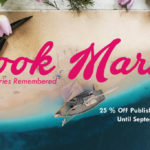 BookVenture gives authors a bright new opportunity to publish their books at the best prices possible! BookVenture is celebrating the biggest star of summer – the sun! 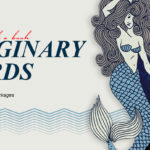 In honor of National Daylight Appreciation Day, we’re giving away special publishing deals that are sure to brighten up your summer.With the Brighter Days promo, you are now given the chance to get your book … [Read more...] about BookVenture Celebrates National Daylight Appreciation Day With an Incredible New Promo! 6 Great Copyediting Tools for Newbie Writers! 5 Very Handy Tips for Choosing a Pen Name for Yourself! 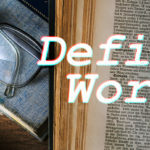 5 Story Crafting Elements That Every Newbie Writer Should Learn! © 2019 BookVenture Publishing. All Rights Reserved.